2. Insert your Paymill secret key and Public key, then click Enable button. 4. 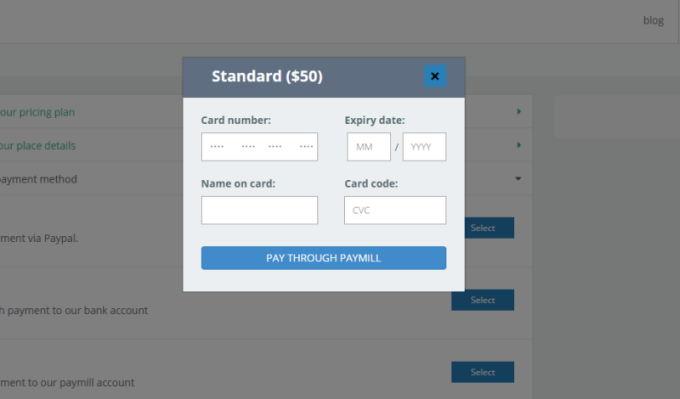 Select the Paymill option and insert necessary information. 5. Click Pay Through Paymill to start the payment process. 6. It will automatically send the request to server paymill.com and users will be received a responsive notification.